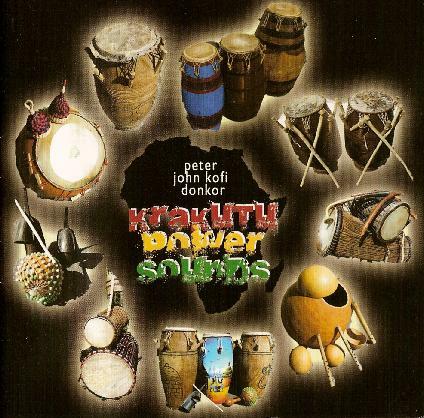 You can order this new CD from peter john kofi donkor with traditional dance rhythms from Ghana. Percussion on CDs of various musicians. Family Drum has a problem, which will lead to many discussions in the whole extended family. It is Kagan, the youngest son, who wants to have a lot of things. But the family can`t afford it and don`t want to buy it. One night a dream changed Kagan life totally. He learns: When you have patience, you can have more than you ever thought of. It was published this June 2017 with Paramon in the german version.Its available directly from us: just contact our homepage email and order! of course it is also in most bookshops in Switzerland, Gemany and Austria, and of course also in the online shops. The English Version (original) will follow soon. Buy one and enjoy this story, together with your children or grandchildren. And in the National Libry of Germany Frankfurt available. 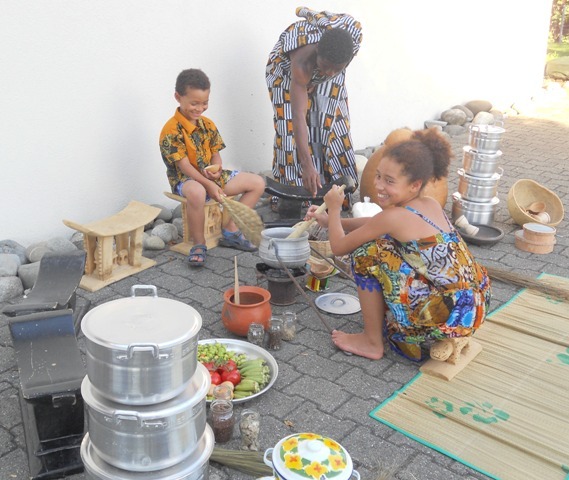 In this workshop we use traditional Ghanaian cooking instruments to cook with our natural energy without stress. 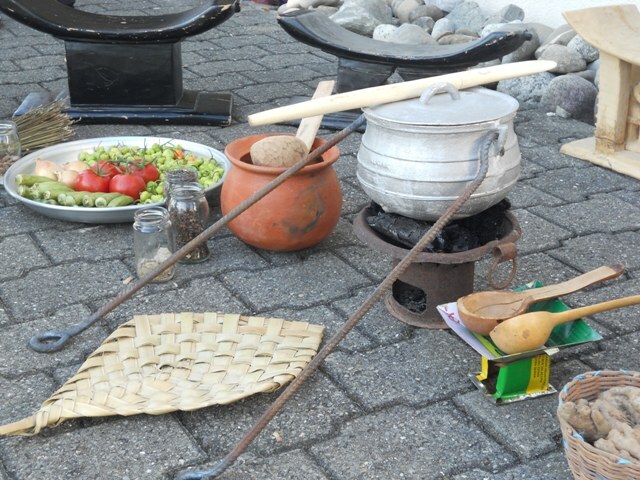 You will feel the connection in between nature and preparing food. These cooking instruments will help you to create your own taste of food. With it you are creating your own rhythms. Each of these cooking instruments have their own sound of music and their own beat. Afterwards we will take the sound and rhythm we got and play it on the drums. The dance will accompany the rhythm. For a week or semester workshop contact us! The subject of bullying or mobbing or harassing is well known to all parts of the world and all ages of people. As I worked many years in schools with all ages of students and adults in Europe and Africa, I got a lot of experiences and created a story about what I have been seen. The function of the applied drama is to improve creative art and imparting skills. In the end of the theatre / the story the one bullying realise how much damage he has done to himself and to the opponent. The form of the workshop could be: to play theatre or to hear the story. 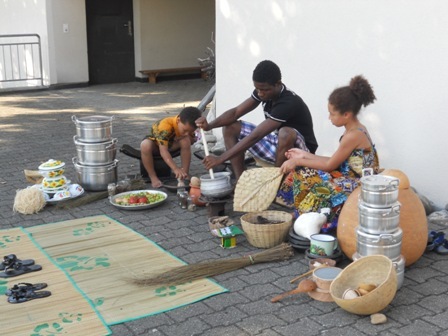 In this workshop we are using traditional African instruments and dance movements to create a story. The aim is to take easy rhythms and dance movements and develop it into a show. With this we release stress from the day and work creative in a team without stress. Participants realise their talents, improve their selfconfidence, creativity and skills in teamwork. The participants are able to keep what they have achieved in this workshop, use it and develop new skills towards their daily activities. Less stress - joy and happyness! target group: students of all ages, teachers, companies, others. You can book this workshop in your company! current workshops for percussion, rhythmicity or dance to be asked for next dates. Teacher can be hired for a groupe, which is already existing for further training lessons. PowerSoundProduction offers concerts in various music styles, from a duo till a full band. We have our own sound equipment. 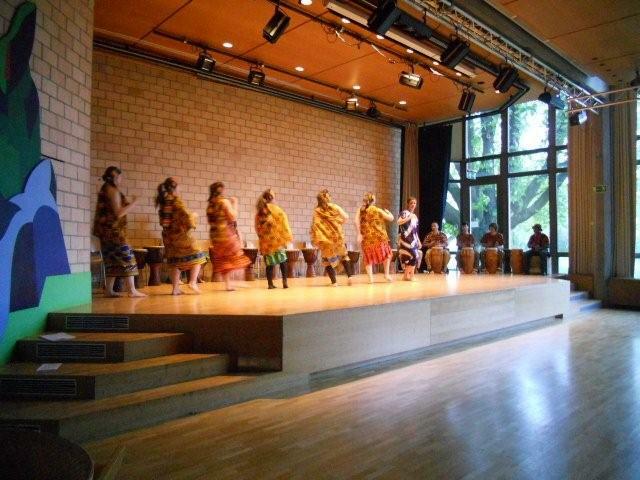 African traditional music and dance: various percussion instruments with powerful dance show. Every dance has its own costumes and we can combine it with an acrobatic show. We can fullfill and be flexibel for your wish. Wings of a dove will fly with you through Africas music and dance. 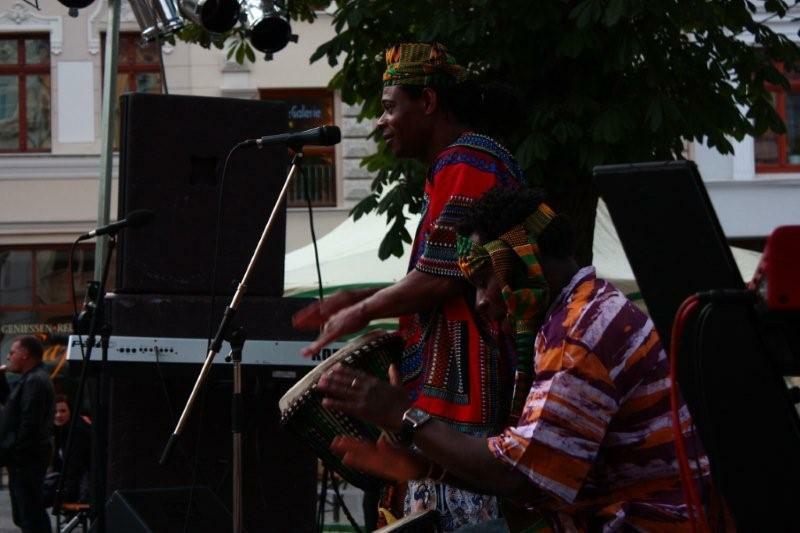 Highlife-Reggae-Calypso: With our band we play the famous dance music style of West Africa, Highlife. Reggae and Calypso make our program rich in varity. We often play on festivals, but also move the crowd on parties and celebrations. 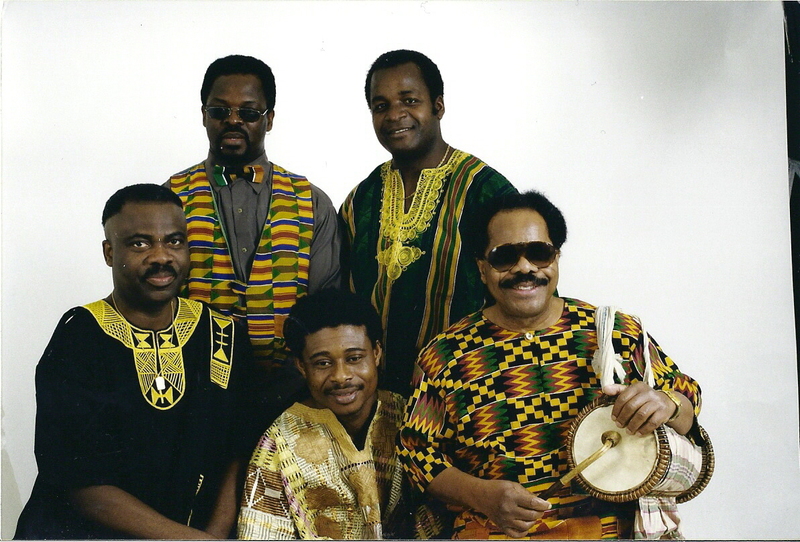 African Jazz, Blues and world music: The Ghanaian bamboo flute "Atantabe" combined with the traditional instruments form Ghana, Nigeria, Togo, Benin, Senegal, Mali, Guinea and Burkina Faso give the dynamic rhythm in our program. We have our own arrangement of modern African Jazz for dancing and for meditativ listening. In our Blues program, we use together with the traditional African percussion, horns and flute instruments. With our brass instrument combination we play special Ghanaian festival music (parade). South African music: Together with an excelent singer from South Africa, we offer the original South African music and dance. Gospel: We often perform in churches with a choir or a gospel band. Have a taste in your club, on your party or at your festival and institution of original African music and dance. On this festival we supported Uganda. We are there as the African presenters. There were a lot of activities on this festival. Bookwriters were there to give speaches and other organisations had their stands on the festival place. We had the African stand. From 9 am. till 6 pm. we offered every 45 minutes a workshop and presented a concert. Aaron and me started the day with a show to announce the starting workshop. After two workshops, we got people lining up to take part in the next round. This kept going on till the evening. The workshops and concerts had its own story to tell. In the afternoon we got half an hour brake and we used that opportunity to watch around on the festival. Every stand you go had its own history to tell. You can see pictures and working tools of 100 years ago being used in Zizers / Chur. You can follow the production of the farmers of the area, such as seeing the cornmill, cider press or snaps distillery. We had possibility to try some of them by ourselves. We visited also a stand where they dressed you up to look like the people 100 years ago. A lot of families dressed up like this with their children and took pictures in black and white with that old type of camera. And the studio looked also like 100 years ago, with its chairs, cupboards and room items. This was really fascinating. Suddenly as we were watching them, some of the workers there started smiling at us, talking to eachother. We got closer and they said, they want to show us a picture. We saw then old pictures of Africans who visited the Swiss friends 100 years ago in this village. Such a surprise! We were the only two Africans in that Moment on this stand. So we use that possibility to play a bit a theatre. Aaron should dress like those Africans 100 years ago in Zizers and I will come as a musician friend who visited him in that time. After they dressed Aaron up and me standing next to him in African dresses, with a talking drum under my armpit, waiting for taking picture, people started to gather and watch us. I think it really looked to them like a cultural journey through time. After taking the picture, a lot of people asked to take pictures with us. We nearly missed our next round of giving workshop. Suddenly we saw the organiser walking towards us: „ people are waiting for you!“ Aaron undressed fast and we quickly went to our stand, 10 minutes late, but they were still waiting for us. The workshopo went on successfull and we had a good show. Finishing and to pack the drums was another surprise. We found out, the Swiss working there, were all relatives. 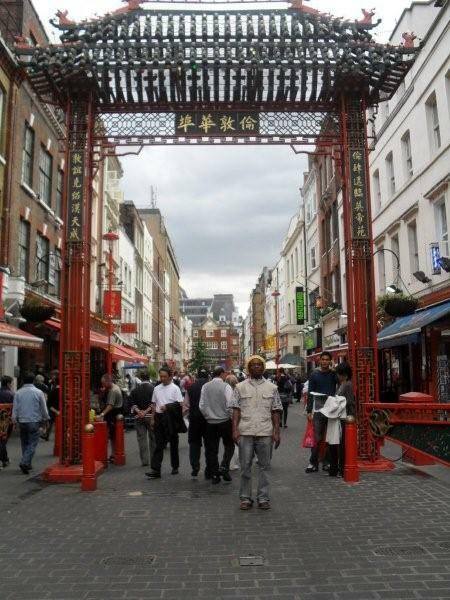 Since generations they had contact and exchanges with African people. 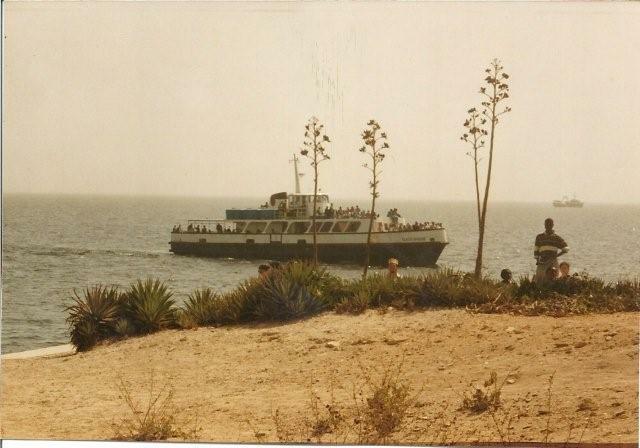 Everybody who helped us there, was telling us a story about where they have been in Africa. Some where also in Ghana before and many of them still live in African countries and just came for the festival. The wonderful cultural journey through time brings the motto : music is energy – energy gives happyness. There were a lot of programs going on, which was fascinating me so much on this day. 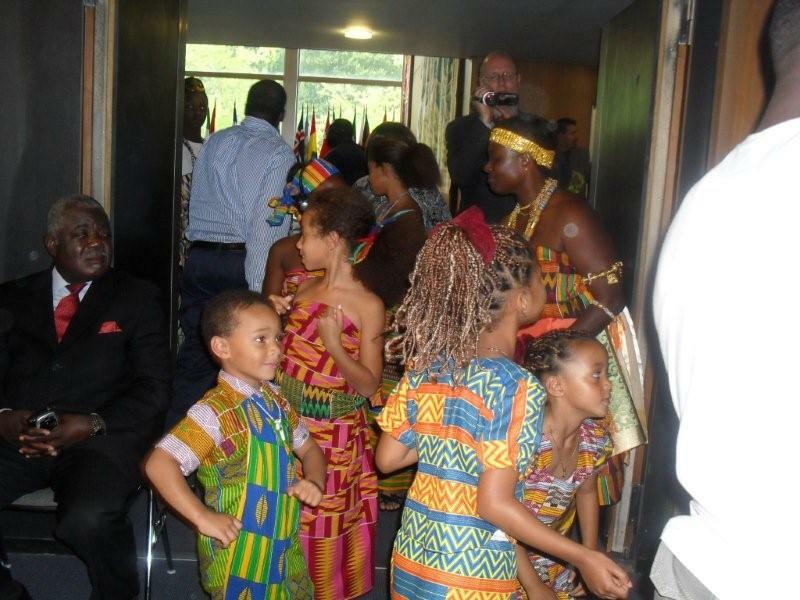 They trained the children, who live in Geneva the traditional dances from Ghana and let them perform. They really took the show very seriously and gave all their energie. Our group wings of a dove percussion power was supporting them with the music. A wonderful fashionshow was also part of the program an they showed beautiful african dresses, designed by a Ghanaian, who lives in Geneva. We also had to lead the chief and queenmother with music on stage. It really felt like we are performing in Ghana. The Ghanaian Ambassador arrived and we welcomed him with music. There you could feel good energy in the place. Wings of a dove was cooling the whole place with a nice percussion and flute music. We played very old songs from Ghana and you can see the elders, who knew those songs were singing it together with the flute. Smiling was in everybodys faces. The children felt so exiting and were walking around happy. We catched the mood and put up a very nice performance. Additional the acrobatic show was very fascinating and surprising for everybody. The cheering and applause was going high. This bring me to my motto : Music is energy - energy brings happyness. For launching Lyca TV in Zürich we took part on the intercultural programm. There were a lot of groups from different countries, such of India, Sri Lanka, Brazil, Switzerland, Burkina Faso and we presented Ghana. The act was very dynamic and all the groups on the stage gave their best. The Braziliens showed their beautyful costumes and performed a very nice dance. The Indians changed the atmosphere with their own costumes and their dance. After the Swiss breakdancers took over and blast the whole place with their dance and styles. The Capoeira group performed and cooled first the place down slowly and also then came up with their thrilling magical fighting dance and kicked the audience on their feet again. 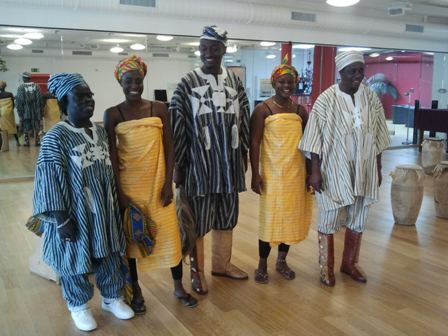 We took then over and came in with a powerful dance from Ghana called Takaj, in which we used our beautyfull smock costume. If you swing this dress through the dance it opens and the show becomes very impressive. We drawed the attention of the audience so that the whole place was quite watching the movement of the dress in the rhythm. The dancers could feel this atmosphere and gave more power to it. The more power they gave, the more the dresses opened and responded to the movement. It is a harmonical combination inbetween the drumrhythm and the dancemovement with the smock. We then surprised them with our acrobatic display, which brought the audience back to the shouting out loud atmosphere and enjoying the show. The group from Burkina Faso also came in with their dynamic djembe playing and singing. They took the audience surprise from beginning and really take them into the music journey further into Africa. The audience followed the journey, felt the music and all of them were catched by the mood of dancing wild towards the rhythm. Music is energy - energy brings happyness. We are there as a surprise for the wife of a dentist, who was working for Africa. As we arrived in Baden the daughter came and told us, please try to stay away in the audience, because my mother doesn't know you are here. We want to see her in the hall with a beaming in her face, because she loves African music. In the hall the buffet was upstairs and the concert will then take place in the downstairs. That is how the whole thing began. As we are on the stage I can see somebody was beaming from far. We sang a happy birthday song with the audience and her family used that possibility to present the gift on the stage. As she came to the stage, you can see and feel her good mood to have us there. After receiving her gift, she thanked us for being there. We made her feel as if she would still be in Africa. As I always present my birthday gift as a workshop, I did the same at this party. I wanted 10 family members to take partin the workshop as a gift for the lady. The request was open so nobody was willing to come. As you know, everytime people are panicking at the beginning because none of them have taken part in African percussion and they are afraid to be embarrassed infront of their family. So the son in law of the lady went round and picked people by himself. As they sat on the drums, there was one chair left and one drum. Now the lady made an announcement that there is a man going to Ghana with his son on the next morning. So she would love that man to take part. I trained with them and we then performed a short piece for the lady. The audience was thrilled. After the show as they were introducing the musicians to the audience and they reached my turn and introduced me as a Ghanaian living in the little village of Sins. One table was applausing and chearing so strong, everybody was watching that table and saying, yes he is from your village. The husband of the lady came to the stage and said that all the audience are dentists and here with their wives. The dentist from your village Sins is also here. After the show I went to their table and greet them. I saw them and knew this is our family dentist who is known by my wifes family since long time, even before I came to the village. This is were my motto comes in: Music brings energy, energy brings happyness. In January 2016 we performed in Oberfrick at a 60th birthday celebration. The house we played in belongs to the shooting club of the region, which was also the title of the house. This circumstances took us almost an hour to believe that this is where we are playing. As a Ghanaian having no connection to gunhouses, I was shocked to drive there. The road is tiny and rough and it was the only road leading to this place. We had to follow the signboards. What helped us to believe that this is where we will perform was special wood torches which you can see from far. That gave me courage to drive closer. As I arrived there I didn't park next to the house, I left my car on the street. I saw two women standing infront of the door and they saw I am suspicious. They laughed. I got closer and one was asking me:"Are you Mr. Donkor?" and I said:" Yes!" They told me to park well, because the event is in the house and the woman was the one who celebrates her birthday and contacted me weeks before. We got inside and prepared for our performance and started punctually. I started with telling jokes of how we came to this house with suspicious feelings. Then we wanted to present a gift to the lady celebrating. The gift was a game like a workshop. We got some women and men taking part, brought them to the stage and practiced. We then presented together a show, which was really great and funny. This took fears from the other audience and in the end everybody wanted to try the drums. This kept the party so dynamic till the end. Then we found out in the brake, there is a musician from Zanzibar in the audience and we asked him to jam with us. We took the audience by surprise, because they didn't know that he is a musician. The party took the direction to fabulous mood. This confirmed my motto: music brings energy and energy brings happyness. Just arriving from Ghana around 10 a.m. and teaching from 1 - 6p.m. at the musicschool Frick, I went to perform on the concert in Pratteln in the evening. The event was for the firemen organisation of the City of Pratteln. 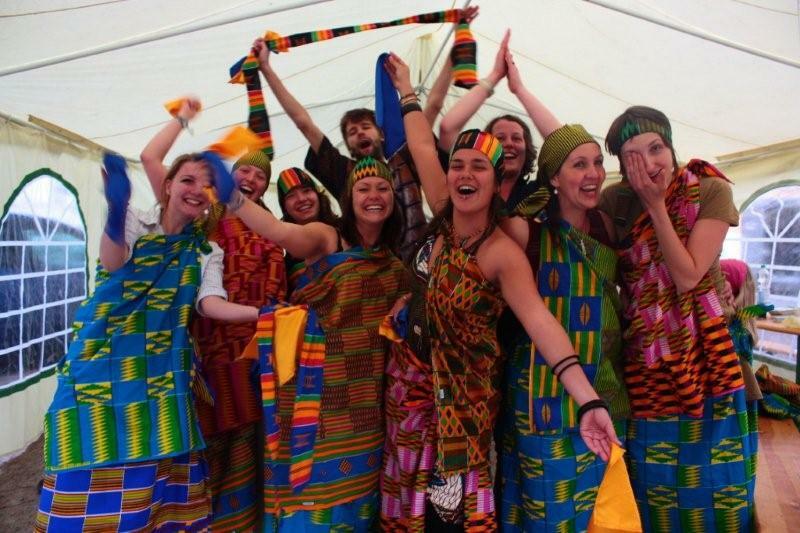 I was still full of music from Ghana, where we had the christmas and new year celebrations. We played there from traditional to all kinds of modern music and we played for many hours nonstop. So this was still in me and inspired me to get the strength and energy to make this nonstop music journey. At the concert I joined in the group of Heiri and his friends as a percussionist. The style we played took me back to Africa. I enjoyed it and really gave them the groove of a collection of rhythms.It was a very dynamic concert, swiss and african muscians mixed. scene. For many years we are working with ISB grade 5. We really work with them on the african field. We teach them traditional songs and its dances. This year we were four teachers working with 85 children. work with them on the african field. We teach them traditional songs and its dances. This year we were four teachers working with 85 children. As we do it every year in the beginning we take away the shyness and bring them the motiviation to participate. You will see them realizing their improve and every day it goes further and further. The reason why we like to work with ISB grade 5 is, the children always knew the group of last year grade 5 and make a competition out of it to perform better and show it to the grade 4 and the whole school. That’s how we do the workshop every year. This give us, the teachers also the possibility to work with them without hesitating. This year I was teaching them a story about a boy from Eguafo, who has difficulties in his family. But he always tries to solve the problem by himself and support the family additional. Their farm was not functioning well and the parents have problems to feed their children. He always went to the city to shine shoes and bring the money to the parents. Additional he had to go to school. He did that for many years with the help of the teachers. He studied good in the school and that helped him not to do much homework, so he had enough time to go and work. He always gave appreciation and thanks to his teachers. I saw that this story touched the teachers in the ISB very much. Additional they performed a drama about elders in Eguafo. How they take care of the community, how to solve problems and how to organize them to do the community work. They have the youth, who voted themselves to help the children for homework and other activities. All these dramas is to show that everything you do in this life, you need a support and help and then you can work as a team and achieve it. And this is where our motto came in: no stress, no panic, freedom but concentration. Music brings energy, energy brings happyness. This year the teachers of ISB wanted to take part of the show. We worked with them for 90 minutes and you can see that they are looking forward to stand infront of their pupils to show them how much interest and talent they also have in music and dance. We tried to push them a bit harder and they did their best and we had a nice dance together. The pupils didn’t know about the teachers show. So it was a big surprise. It was thrilling and with our support they gave all. 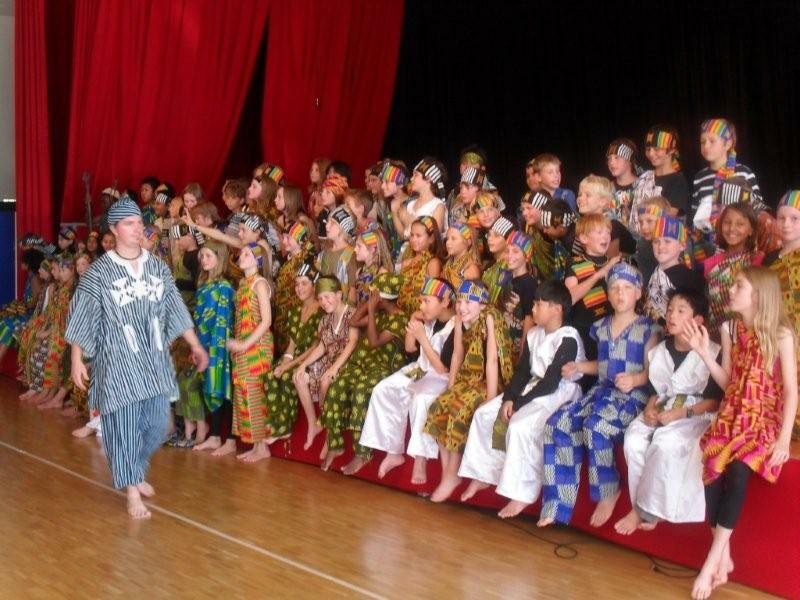 Every year we the teachers performed, but only the grade 5 teachers and sometimes the director of the school as well. This year almost all the teachers took part in the workshop and the performance. It was so beautyful and we are looking forward to meet them next year. 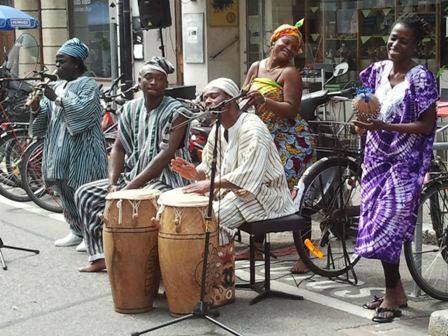 A great performance was the concert with Ghanaian musicans and swiss musicians combined. We used bell, Kpanlogo drums, gome, seprewa, imbira, guitar, saxophon and bass. The atmosphere was very good, both from the musicians and the audience. The concert was a benefit for supporting Aarons son for his operation in Zürich. The mood of the little boy was making everybody additional happy. Coinsidently it was also his birthday. Chris got 5 years old. The concert was really dynamic and the music travelled with the audience. 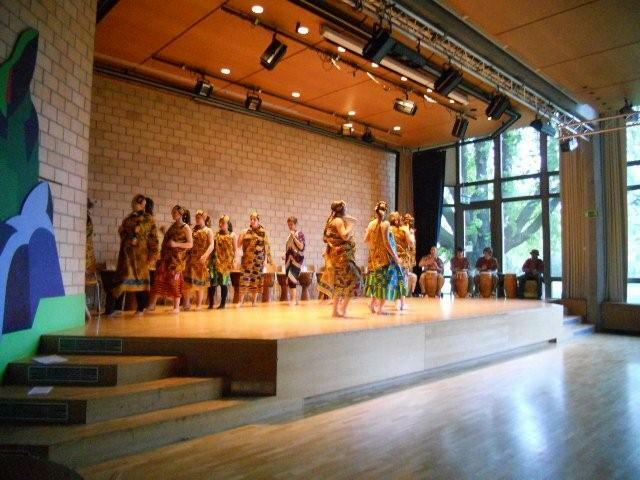 The whole concert hall sounded like we are in Ghana, but we were in Untersiggenthal in Switzerland. Additional there were balafon players using the Ghanian traditional xylofon who also increased the mood with their energetic playing. In the end all of us came together and we had a very nice jam session. 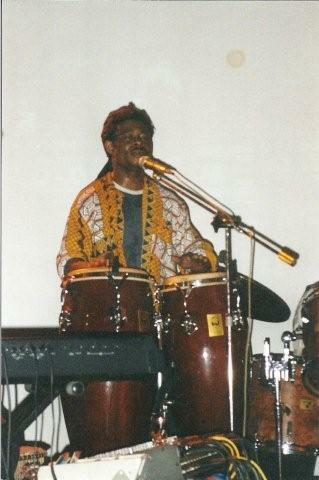 Just a few weeks later in the same month I was playing with another percussion group, known as kobolo drummers. It was an open air festival. As we arrived I saw a lot of people watching me with a big smile and friendlyness. I thought it was because I was wearing a Ghanain T-shirt. A group of young people came to me and they said we were watching you playing recently. I asked them where this was and they said it was in Untersiggenthal on the benefit concert. Not knowing most of the audience which watched the concert with Aaron, was at the festival. So I found out that this village we were playing belonged to Obersiggenthal. This time the style we were going to play was more traditional with different sorts of percussion instruments as Sogo, Kidi, Kaganu, Kpanlogo, Marakash, bell and Kroboto. It was a great audience which gave us a lot of energy and cheering. The concert kept going on good and good and good. Our energy kept on increasing. Music brings energy, energy brings happyness and happyness can lead you inbetween two villages like Obersiggenthal and Untersiggenthal. 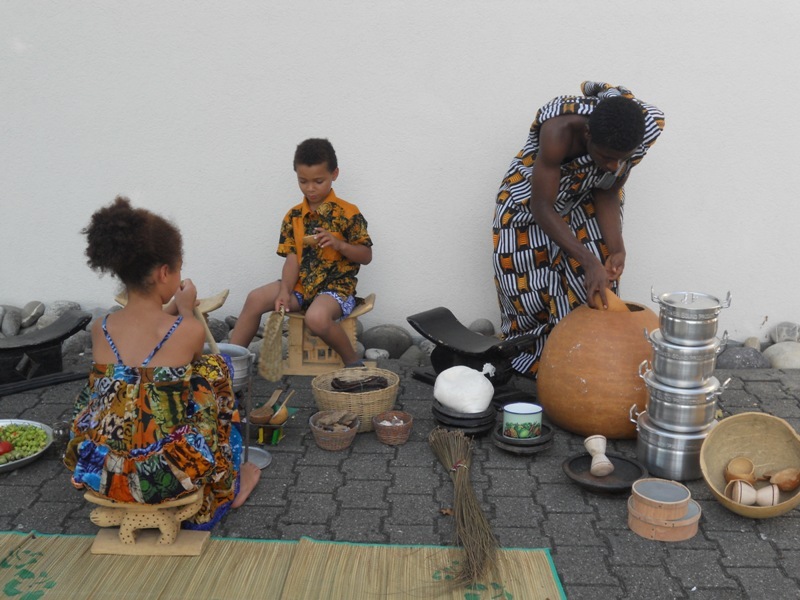 In this workshop the programm was traditional african theatre, singing, dancing and drumming, mostly from Ghana, with the whole kindergarten, about 100 kids. In every 20 minutes we have to change a group. In these 20 minutes each group has to learn drumming, that means traditional percussion, dancing and singing. We worked the whole day. In the afternoon we had one hour to put together a show and we rehearsed it. It was impressing how much effort these children put in. We had a one hour show and every group performed a different dance and song. The parents were so impressed. Together with the costumes the stage looked so beautyful. You can see happyness in the childrens and parents faces. We got a lot of compliments. I was happy about the work I did with them and enjoyed the result. Music can travel with you and you will not realize with whom you are with. Some traditional music from Africa is very difficult to understand. Specially combined with bell and marakash. Polyrhythms are giving the difficulties. Some of the pupils don't undestand and hear the connection inbetween the bell, marakash and the drum rhythms. After working with them for one week, suddenly I can hear them trying to communicate with me on the drum. I immediatly adopt what they try to do and support them for them to understand it better. All this communication is through rhythms, not with words. Slowly they start to understand the way of communication without words and respond to it. After the workshop we have a very wonderful show one Saturday and Sunday in May, which the audience was thrilled about. A Ghanain musician was also in the audience, who then joined us on the stage. We did some 6/8 rhythms and combined it with bamboo flute. We also played 4/4 rhythms and sang some songs from all over the world towards it. I do work in schools for many years now and I take part in music school camps for many times. This year I was very impressed about the camp. For many years I am teaching at the music school Frick in Switzerland. Every year we do a different programm for the music school concerts all around the region. What I like from my pupils is, that they always have a confidence. They are from kindergarden till primary school. They look so small if we have a concert with other students from the musicschool, but they always surprise everybody with their energy and their ability to concentrate. That gives me a possibility to change our programm any time. Or even create somthing new on the stage. They love to take part and you can see and feel that they also enjoy it. That gives me that possibilty to create new rhythms on the stage and the audience will not even recognize it. The pupils are flexible and have a good understanding. To work with them is so easy going for me, so everytime we are on stage performing for the musicschool I introduce them as my music colleagues to the audience. I saw, that they like this very much and appreciate it. And you can see a big smile from their faces. Some teachers who understand our African music and know how difficult it can be, they are surprised how these children can go far. Because I can do every rhythm with them on stage. Our best concert this year was the opening of the Red Cross meeting in Aargau. I am looking forward to meet them after holidays again and also the new pupils which are joining. My motto will always be the same: no stress no panik - music gives energy - energy gives happyness. Everytime I play music it gives me happyness. And I know it is the same to a lot of people. In May 2015 I taught at the project week at the primary school in Münchenstein. 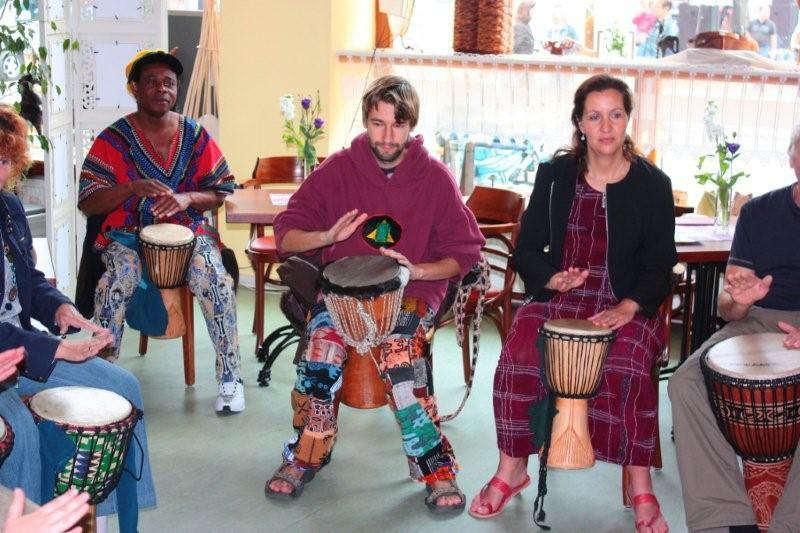 It was a great workshop with rhythms from Africa, songs and dances. The children put so much effort and interest into it. That made the whole workshop very smooth and easy going. In the end we put everything together and performed it to the whole primary school parents and teachers. The show was very powerful and the pupils also enjoyed it. As soon as they got into the costumes I could see their mood was high. 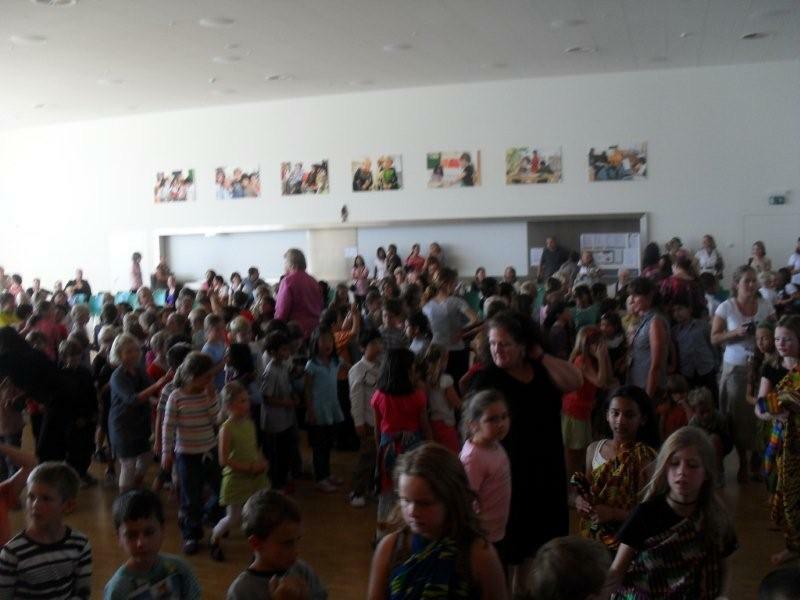 Invite African music and dance to your school. We work in team and discover your talent. 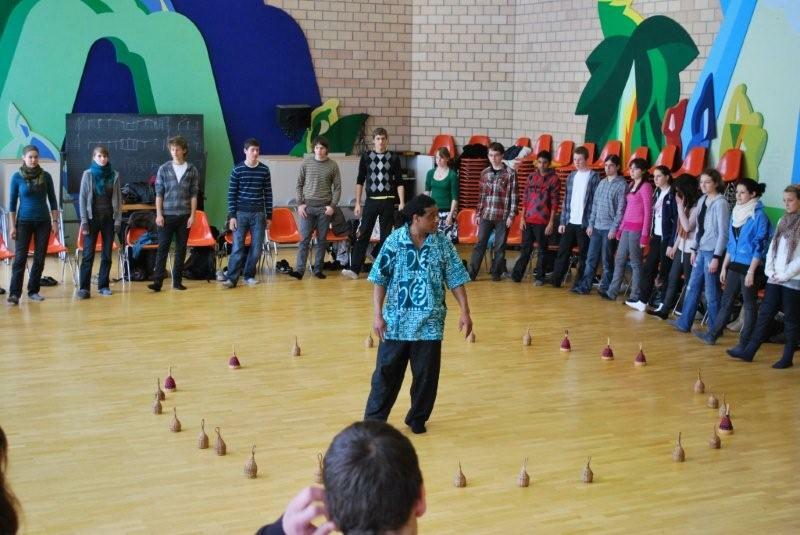 During three days in January 2015 we worked with three different levels of the Highschool of art in Münchenstein. The subject was African music, singing, dancing, drumming, rhythmicity and also concentration, coordination and communication in music and movements. 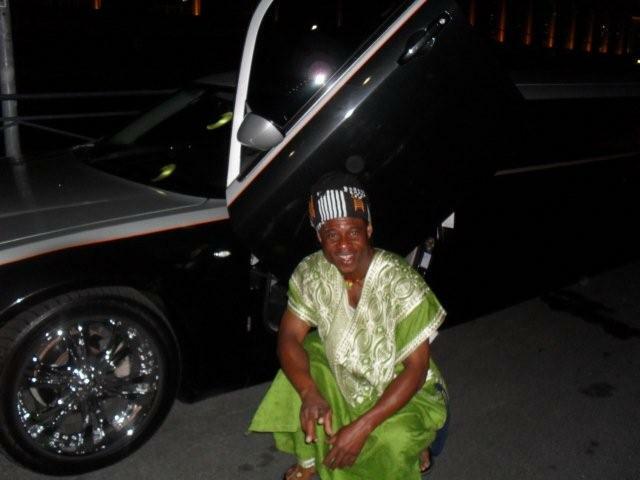 We used elements from all over Africa, texts in Haussa language from Northern region of Nigeria, which is actually a used as an international trade language in Africa. Additional we used the language Ewe from Westafrica, which is also spoken in Togo, Ghana, Benin. Some songs were in Akan language from the Ashanti region of Ghana, Kumasi, and Fanti from the Central region of Ghana, Cape Coast, Elmina, Winneba. Many dances, rhythms and songs were new to the students. they put all their efforts in theses days and in the end we got a very good performance as a result. The audience was also taking part and we sang with them. The cheering and the applaus was immense. I always feel very happy in this school. 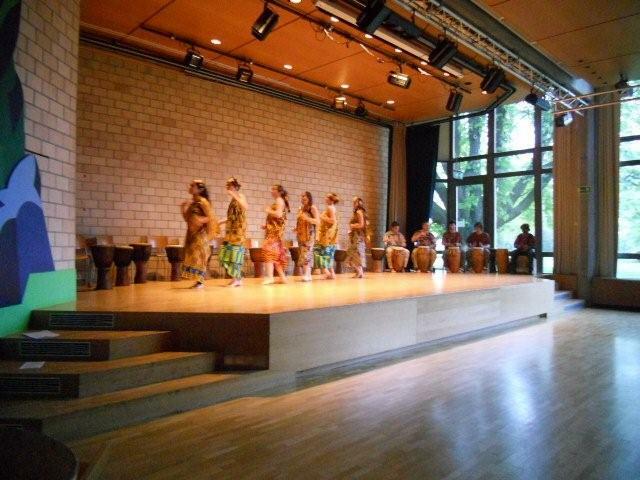 Invite our workshop in your school and let your students profit from the richness of African music, dance and rhythms with different percussion instruments. The event company rumdum invited us to perform together with them in the Icon club in the heart of Zürich. 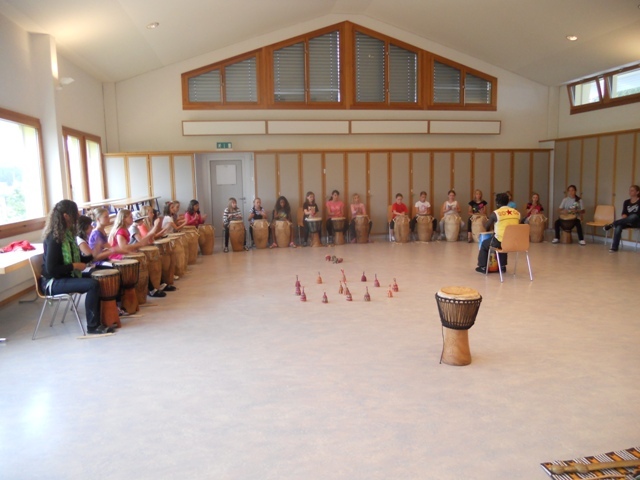 The performance was a workshop with drumming, dancing and singing. 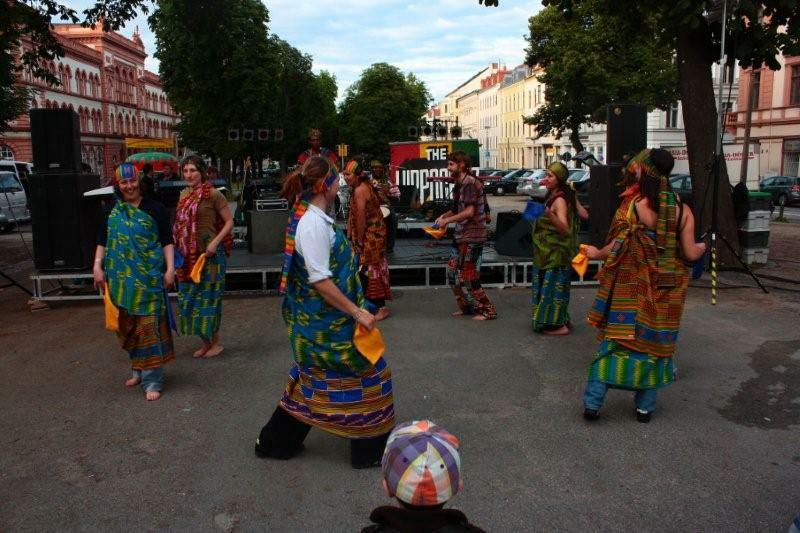 The members of the rundum company are from all over the world and they are organizing traditional music from various countries in Africa, Europe, America, Asia and Australia. It was very interesting to work with them and they also brought a very good motivation to learn African music and dance. In the end they asked us if we can combine our African music with the DJ-work. A lot of songs were played, some familiar ones and some were unknown to us. But we used the skills of African Ghanaian traditional rhythms and melodies and made a nice jam session. 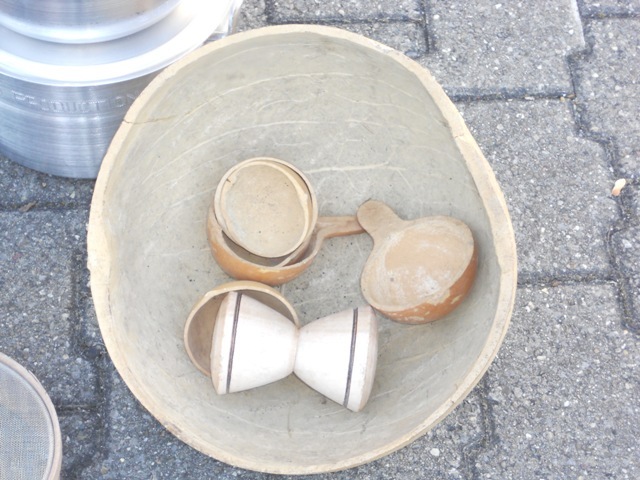 Once more I saw, Ghana music, percussion and bell fits to every style. We use the name wings of a dove percussion power to travel with you all over the continent. We are at yout service. 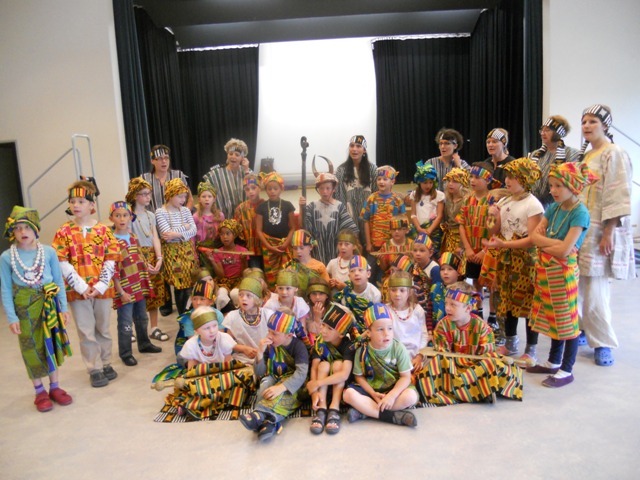 The primary school Widen offered to all their Students workshops about Africa. 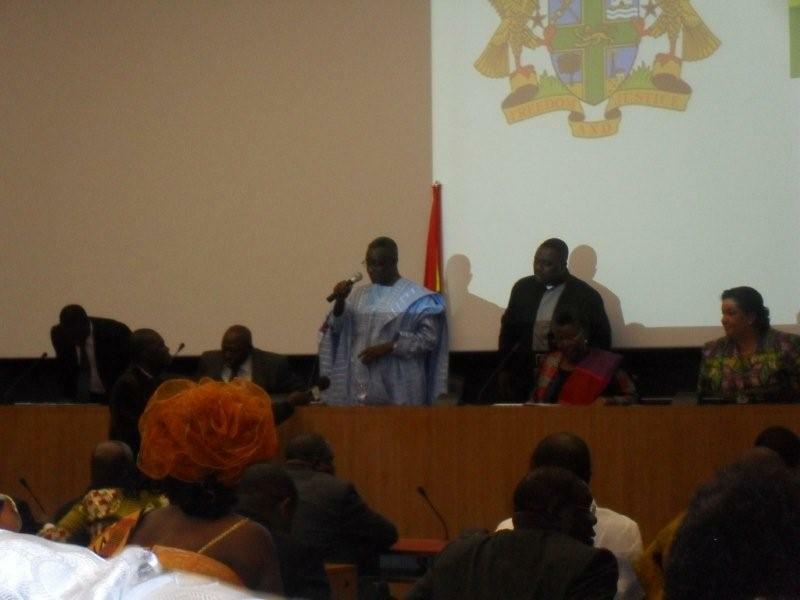 The programm was about the Ashanti and Northern Kingdom of Ghana. We begann the workshop with songs of Africa. There already they get prepared and dived into the African Art. In this workshops we had three hours in the morning and three hours in the afternoon. Every day the student got more into the mood of the African week and the program get successful every day. On Friday we presented a show to the entire village of Widen. These are one of the most wonderful workshops I used to give. 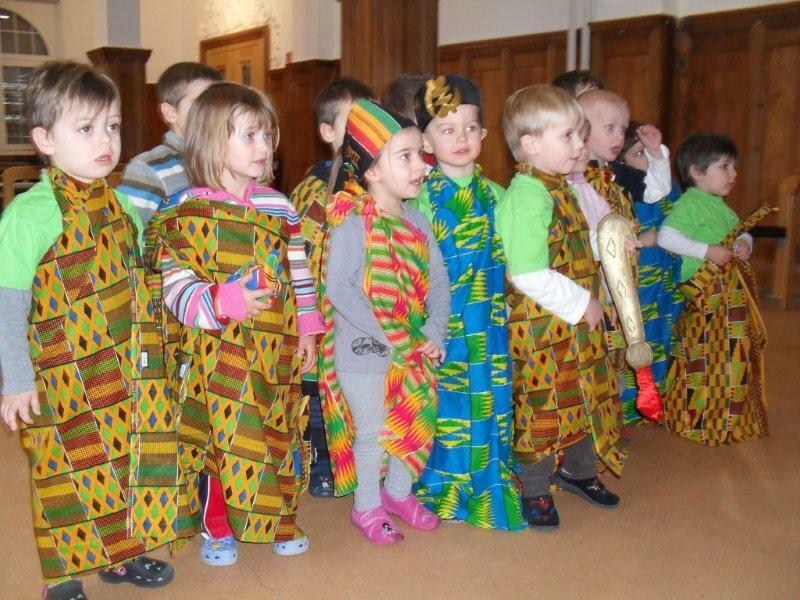 In this year workshop the children were learning a bit how to bring African culture to Europe. 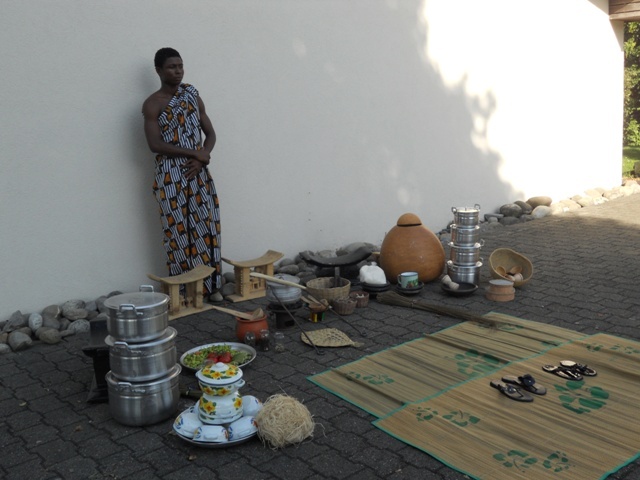 They were introducing our traditional instruments and also tell a bit of our culture and presented an Ashanti royal room and a northern traditional royal room from Ghana in a show. Addtional they were learning songs from Africa, dance movements and rhythms. Every year we work with the school to welcome the new grade 5 students. This year we worked wih them for only two days and we were a bit hesitating - but not in ISB. They always surprise us with how intelligent and interested they are in the course. It helps us, the teachers to work in a team without stress. The work flowed so much that in the end we all enjoyed it. Every year we present a workshop to the school. The grade 5 students this year were wearing the costumes with great energy and ready to perform. The show was so powerful and nice. Watch a short video of the show and invite this workshop to your school. 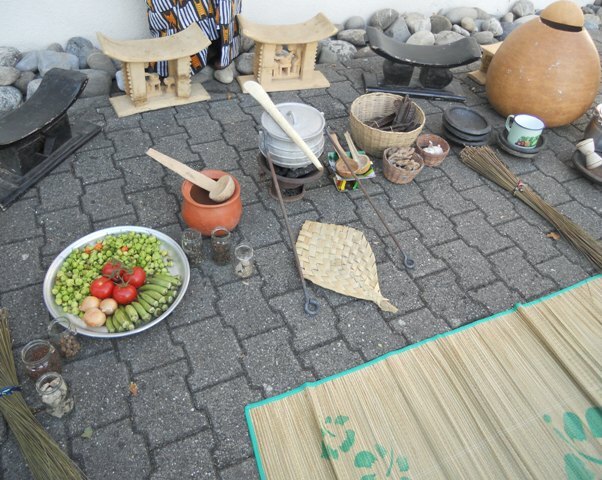 On this day the Bachletten of Basel looked like somethwere in Afrika. Food from serveral nationas of africa was served. 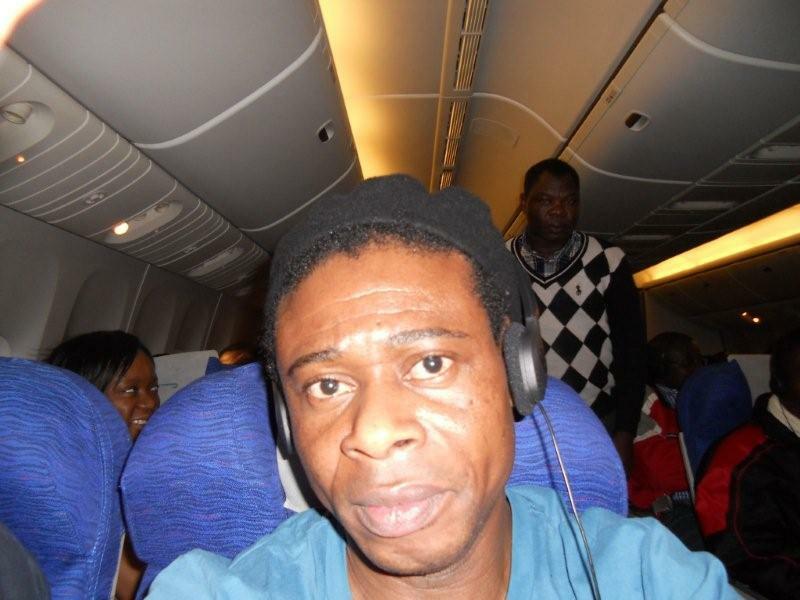 Dj Sir Roberto gave us nice music background of Westafrican highlife, Kenian songs, typical music from Soutafrica and Kongo. The weather was also on our side. As the event was made to collect bikes for Africa, there were a lot of different bikes there for children to try. You could also have a nice tour in the streets of Basel with a traditional riksha. The party mood increased with the hours being there. Wings of a dove power percussion was performing and giving workshops in drumming and dancing. Addtional we designed the place with traditional cooking instruments and ashanti royal stools an leather chairs from Northern Ghana. After the workshop we could make the participants perform with us and the audience was just thrilled about it. We were all surprised how quickly the people could adopt the rhythms and the dancesteps. Also the participants were surprised about it and gave us a lot of compliments. It was great fun and a good work to keep in mind to repeat on an other day. 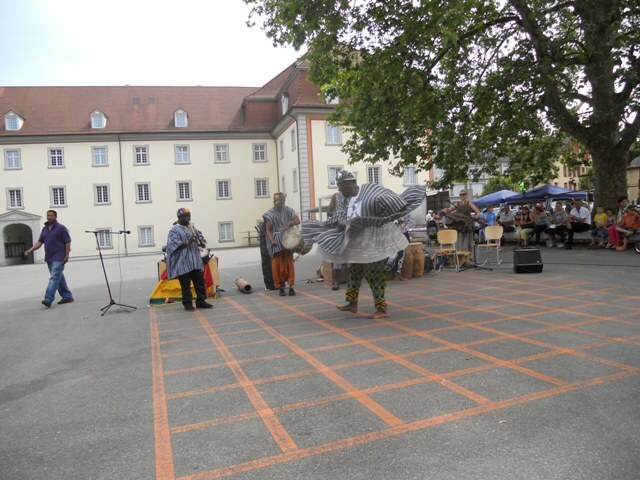 The idea of the project developed in 2012 after the festival of meeting in Muri, where wings of a dove percussion power performed music, dance and storytelling from Westafrica. 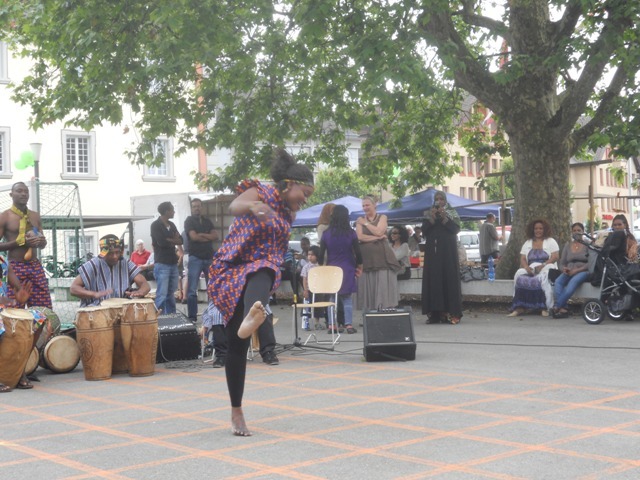 The organisation Zäme Läbe Freiamt of the Kanton Aargau was happy about the performance and asked us to create a project for them, which will continue the integration work with immigrants and refugees who live in the region. Through the idea of building bridges between people of different nations we found the name „mit Musik Bücken bauen“. In the same time this was our Motto. In August 2012 Power Sound Production began to develope the content of the project „mit Musik bücken bauen“. The leading ideas were to work together with immigrants, refugees and swiss with respect, togetherness and improve our selfconfidence. We planned to have a workshop every two weeks from September 2012 til June 2013. The aim was to present the results on the festival of meeting on 15. June 2013. From then on we started to compose songs and write a theatre about the daily conflicts of living abroad, which is of course partly taken from our own experiences in Switzerland and other countries. In the mean while the organisation Zäme Läbe Freiamt was looking for participants. This project was a very big challenge for Power Sound Production, because for many years we are using these ideas as a Motto in our workshops. It became a leading idea of our company. Nadja Donkor, studied theaterscience and John Kofi Donkor as an artist, musician and actor, working together with different experiences. We merged the ideas to a theatre with the aim to send a message to the public about those difficult situations in daily life abroad. One of the main subject is the communication. 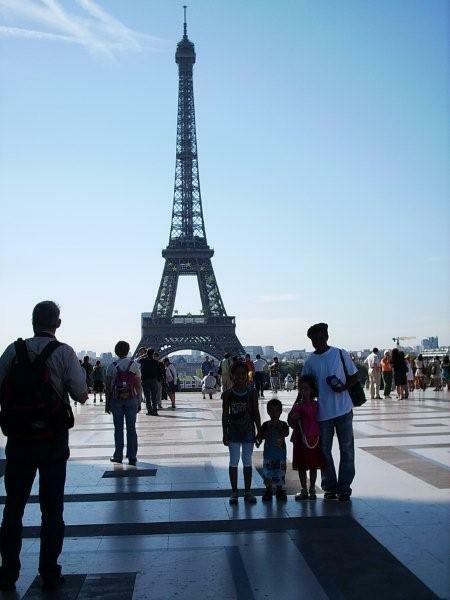 How do you communicate when you just arrive in a foreign country with a foreign language? Making a lot of mistakes and misunderstandings have to be accepted and it will help you to continue your life. People will help you and speak to you correcting your mistakes. Through this many of them find you funny and you will find new friends. 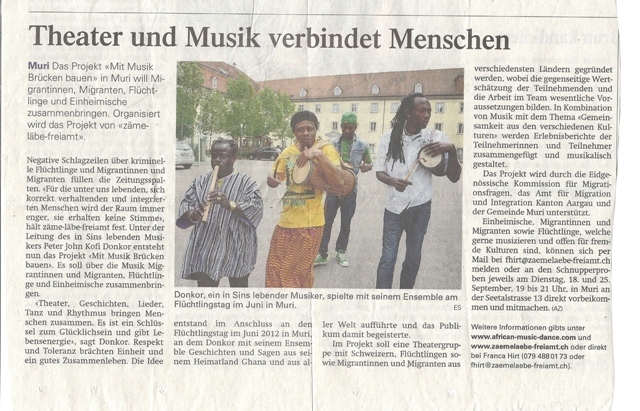 As we read later on in the report of the Newspaper of the region (Aarau, Wohlen and Muri) about our perfromance on the festival 2013 „ Mit Musik Bücken bauen“, those ideas were successfully taken and understood by the public. When we started the workshops, we had about 20-25 participants from all over the world . Soon we realised that the founding of a choir with the immigrants and swiss was the best way to communicate and get to know eachother. We let the participants vote for the main workshop language. It was chosen to be English and German. We brought the idea that everybody can bring its texts or songs towards the motto of Unity and Togetherness. The songs appeared in many languages: Amharic, Tigrinnia, Lingala and French. Power Sound Production brought its songs in German, Akan and Haussa. With the text of the songs we all felt happy to try another language and had a lot of fun with the pronounciation. Our motto was always: music brings energy, energy brings happyness and happyness brings togetherness. And this is how we all feel, looking back on those many months of meetings in Muri for the workshops of the project „ Mit Music Bücken bauen“. The main challenge was to present the results of the workshops on stage. All the participants were not professional artists. Some of them joined even the first time a music group in their life and stand the first time on stage to perform. They really put a lot of efforts and enjoyed the performance. Additionally wings of a dove - percussion power was backing them and the dancers of the group were on fire. 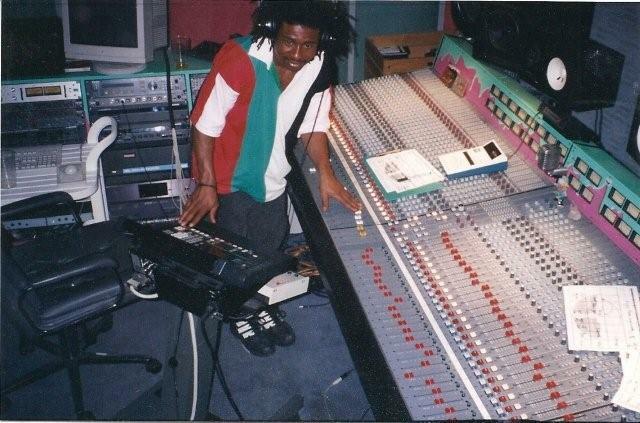 Willi Hauenstein and the steelband Fassination, took us to the carribean islands. They opened the festival, drew the crowed in front of the stage and brought immediatly a good mood in to the tent. 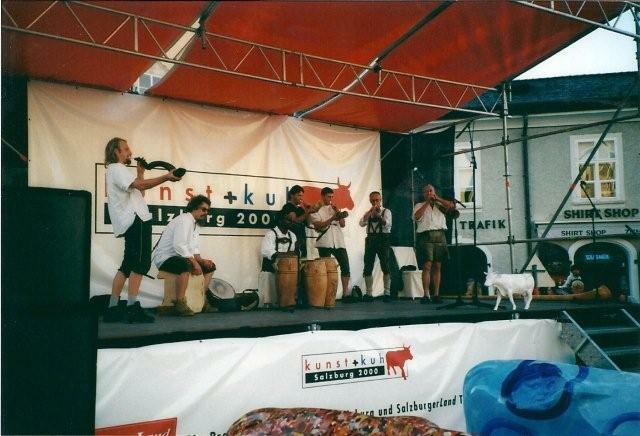 Roger Konrad and Alpenfunkeln brought the swiss traditional music mixed with world music. They surprised the audience with joddeling and alphorn playing. They used the whole tent as their stage and communicated with music. Sometimes you can only see the alphorn appearing in the tent to respond the joddeling and they all arrived in the end together on the stage. This was beautyful. Afterwards the Hip Hop kids of Sivia was taking the audience to a different music and show catagory. 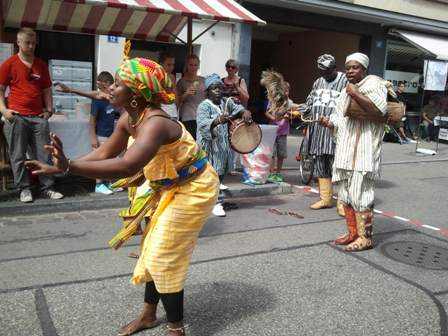 In the end they showed an African dance from Awa Dietemann. They impressed the audience so much and the audience responded and gave the heat to the performance. The Extrem Bosnian Blues Band immediatly capture the audience and travelled with them a nice music journey. They really entertained the audience. Valeria Eva came with ist special surprise dancers from Brasil. Valeria sang a lot of songs which are known to the public and they responded. The special dancers and their coulorful costumes heated the audience addtionally. 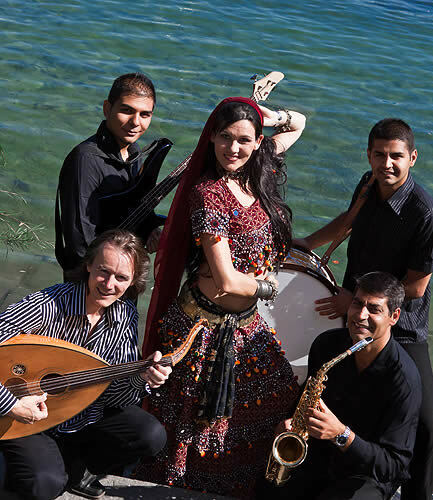 Christian Fotsch with ist Sassa group and a magnificant belly dancer took all of us to the Orient. They started with calm music which cooled the audience down and made them listen. In the end of their show a wonderful belly dance was performed. It continued with the oriental touch with the belly dancers Dunyia’s dream. Each song was performed with its special costumes and dance. The audience was fascinated, watching and enjoying the performance. After the festival we got a lot of compliments from the audience, newspaper, friends and people we didn’t know before. We also got a nice feedback from the parents of the children who took part on our schoolworkshops we gave during the project „mit Musik Bücken bauen“. Power Sound Production is looking successfully back on the project and the performances. We gathered a lot of new experiences and looking forward to work with people and organisations who are interested in music and art. On the 14th September we had two grade 5 classes together of about 40 children in a dance workshop.we tought them a fishermen dance known as Gome and Kpanlogo. 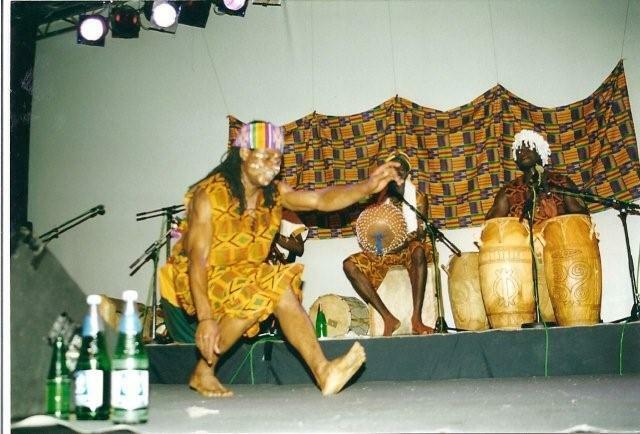 This dance is originally played and danced by the Ga-people in the Greater Accra Region of Ghana. You can find the historical background of this dance and hear those rhythms in the Diasporas. Its dynamic rhythms and dance movements appears again in southamerican Salsa, Samba and Calypso. Also in the Twist dance, which spread all over the world, is the basic movement from the Kpanlogo dance. We use Kpanlogo a lot in our workshops. After the communication of the drummers and the dancers with the main arrangements of the rhythms and movements, comes the creative part. 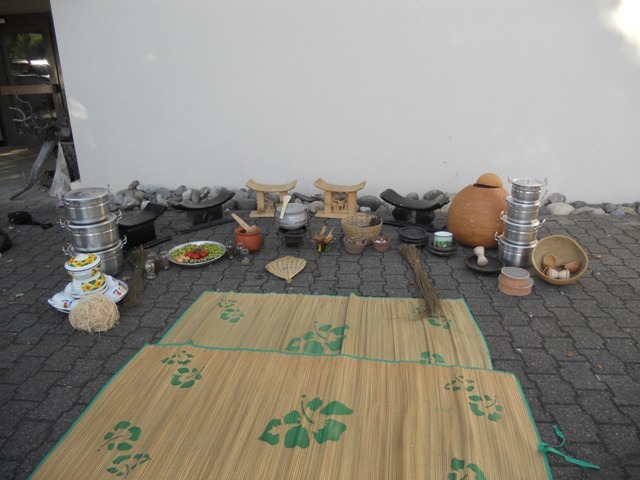 This inspires you to bring out your own rhyhtm and dance movments.Kpanlogo can be played for many hours because of its creative part and therefore its endless rhythms and dance movements. We played with the band Highlife music combined with southafrican music. This event was meant to bring unity: Sports, music and dance. The whole place was full of cheering and happyness. We caught this mood an das we started playing we send it back to the audience. 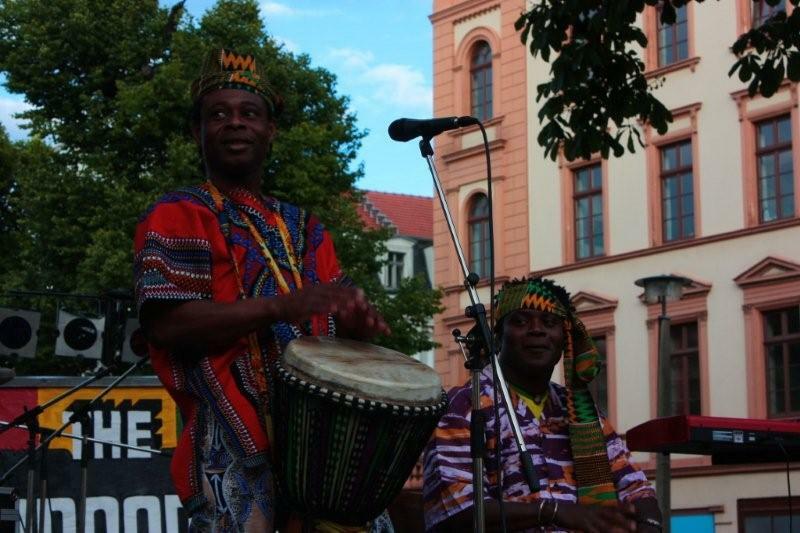 We played highlife songs, which many Africans, who attended the festival knew it and also sang it together with us. Also the Mariam Makeba Song the audience knew and the mood was increasing. Children, youngsters, eldery people all were dancing. If you get on stage such a positive responding, your skills of music and the joy enters you – the music takes you high. What wonderful party!!! Invite us to your event and have joy. We played traditional music and trumpet for an advertisment. It was a public event and I didn’t see anybody passing by without joining the dance for a moment. I saw a man on a bike driving towards us so fast and I tought he needs to catch his train, not knowing he quickly wanted to come and take part. He parked his Bike and got down and he was in the dancing until the show was over. There was a funeral cathering in GZ Schwamendingen. It meant tob e a sad day, but it turned very good mood and people honered the person who passed away and read his memory. As we started palying with Nana Kwesi Ansong on his flute playing funeral songs of Ghana, the audience was so much touched. We also payed some gospel songs. Mike Larbi on gombey, Isaac Donkor Aquah on bell, Isaac the choir leader on trumpet and John Kofi Donkor on the traditional Kpanlogo drums. In ended the concert with Highlife and Reggae styles. 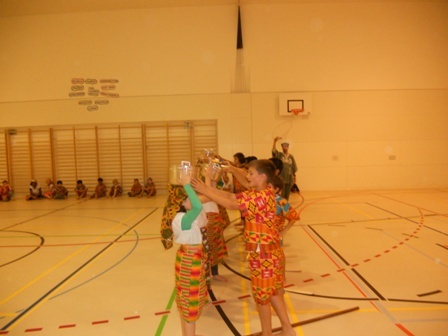 This workshop on Monday 25th June was a nice experience with the children of the primary school of Hermetschwil. 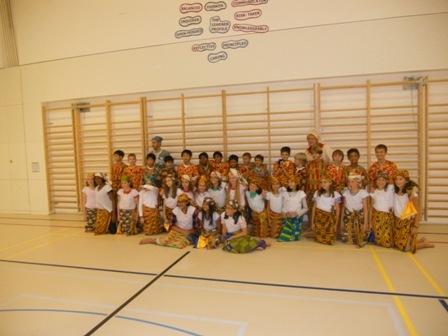 They learned african music and dance with its historical background. The kindergarten and the class 1 and 2 were the first group who came. After them the class 3 till 5 came and also had a nice work together. The children welcomed us with happyness and said goodbye to us with also joy and happyness. We also felt easy to work with them without stress. As the audience listened to the story telling from Ghana about how the chameleon got its color, they were curious to see and hear what was next. 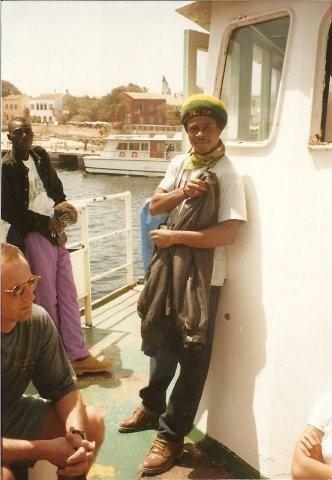 We travelled with them in Music through the world and the continent of Africa. After the performance there wasa a workshop, where the audience could try their skills in music on the percussion. It was so great, because a lot fo people, adults and children tried their best and wanted to join. This is unity in music. In the evening of the 14th March we gathered in Zeihen with some of my students of the music school Frick. 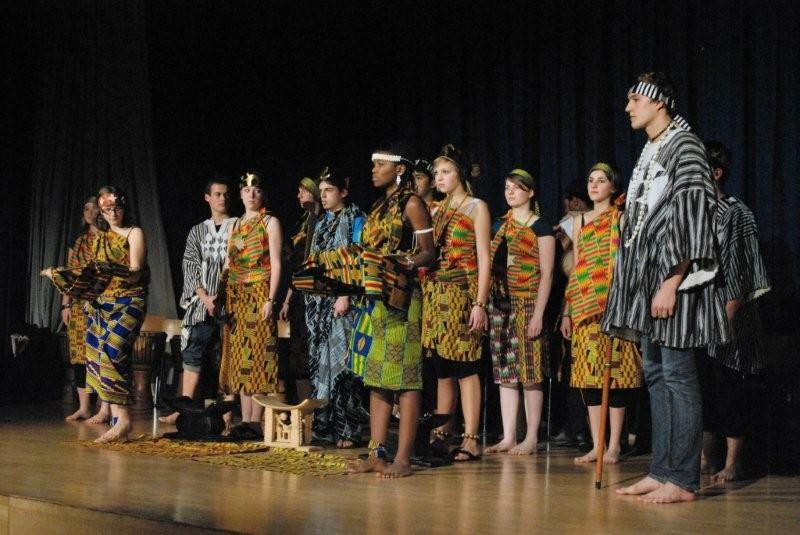 We presented a short show of the rhythmgames and rhythms from Ghana with traditional African percussions. The children came with a good motivation and got a lot of applause for their efforts. It was a great success. This event gave to the children a lot of selfconfidence and courage. A really nice experience. Go to press and read about this event! For many years, I am teaching in music school frick, we often have a concert in churches or other activities with the music school. On the 20th of January this year I presented my semester course to the parents and other audience. It was a great show for me and the pupils. In the end I involved the parents to join us to sing one song in different harmonies. With the harmony of the parents we had a nice closing song, which everybody enjoyed it. Join us in the music school Frick to imrove your talent! Since a few years I haven't been to the school of Schaffhausen. This January Mr. Geoff Eisenstat asked me to come and introduce my new program: "less stress"
As always there were many children waiting for a wonderful day. I was happy to see all the children with such an interest and energy to learn and support the workshop to flow. In the end I told them a story about a spider who saved the whole village during a drought and famine. The idea of telling this story was, to rise the subject of children who are not doing their homework in time. While they would have everything fresh in their mind just after school. With this you are producing stress to yourself. In the end we all enjoyed the workshop and finished it with happyness. 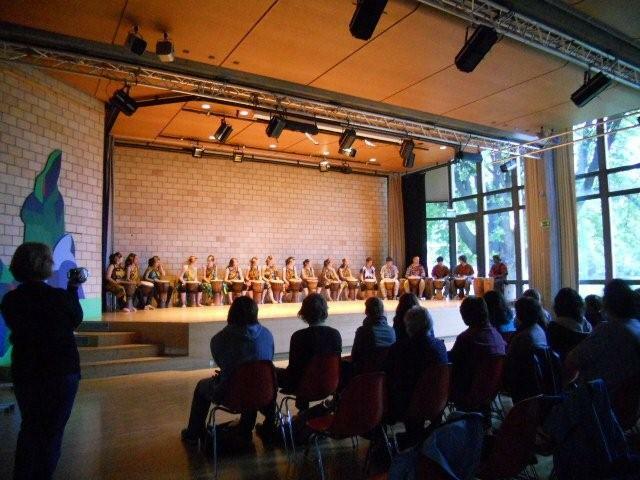 From the 26th till 30th of September 2011 the school of Sins hold a workshop among the Flexkowochen Oberstufe with the subject Worldmusic with Miss Elsener and Miss Giersbereger. 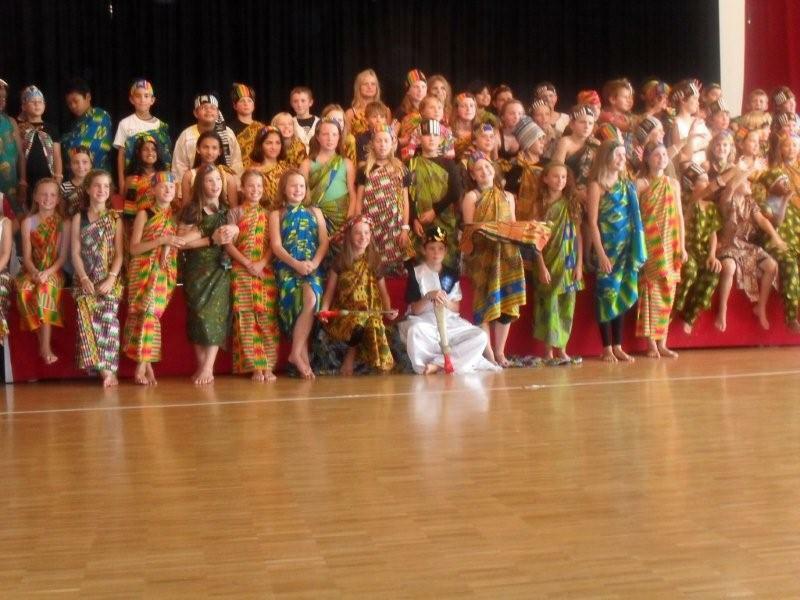 On the 26th I was invited to teach African music, rhythm and dance for the secondary school. 25 pupils took part. Our aims were to introduce the Ghanaian music and have a good teamwork. The workshop ended with a short presentation on the school yard. It was again a very nice experience to work with the youngsters in Sins and I think it was also thrilling for them to try out new instruments and movements from a different part of the world. A production of Stini Arn with me and Nana Ansong. We used a lot of instruments to creat a music which will fit to the weaving of Stini Arn. She is weaving on an old weaving stool and we listened to her speed of weaving and created a rhythm towards it. This was a very interesting team work. In this three days workshop the children learned from four teachers songs from Ghana, dances from Senegal and Ghana and we played with them a theatre with my own story. 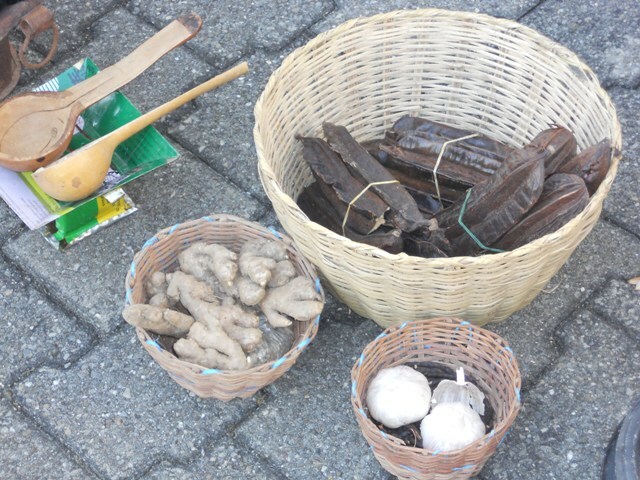 The story was about education and daily life actvities in the house and on the village market. This is the third year we work with this school and every year we work with the new comers of grade five. Every year they proof to us, how interested they are and they involve themselves so much into the work. They took our work so serious and really followed nicly the way we wanted it. It was so successfull for both sides. Additionally the teachers took part intensivly till the end of the workshop. We presented the workshop on Friday on the 2nd September 2011 for the parents and the whole school. It was a great workshop. On 5th and 12th of May I went to the primary school in Neuehof and tought under the Bluesfestival Baden the children about African roots of the blues music. we used rhythm- and rhythmicity games, dancemovements and songs from Africa. The children put a lot of effort into their learning. It made the workshop easy and we all worked with happiness and joy. The teamwork was great. 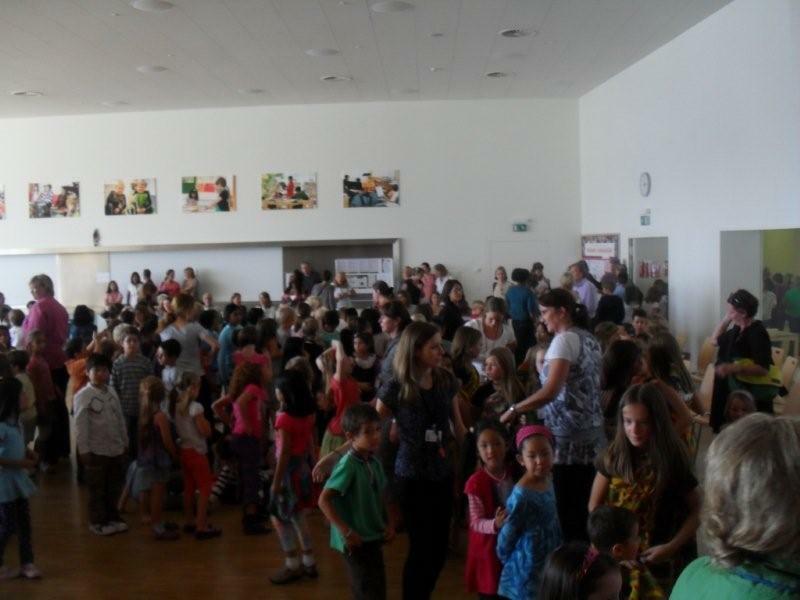 About 90 children took part in this years workshop and presentation at the international school Basel in Aesch. It was a three days workshop and they learned three different Ghanaian songs and two different songs from Northern Nigeria. They sang in the language Ewe, Ga and Haussa, which are spoken in Ghana and Haussa actually in whole West Africa, but originally from Norther Nigeria. In those three days they learned also a dance from Senegal with different dance movements taught by the Senegalese dancer Awa Dietimann. Her dynamic teaching was very impressive. The participants also put a lot of energy in and in the presentation, when they danced on the stage, it really reminded me of watching a dance from Senegal, when I was in Dakar. 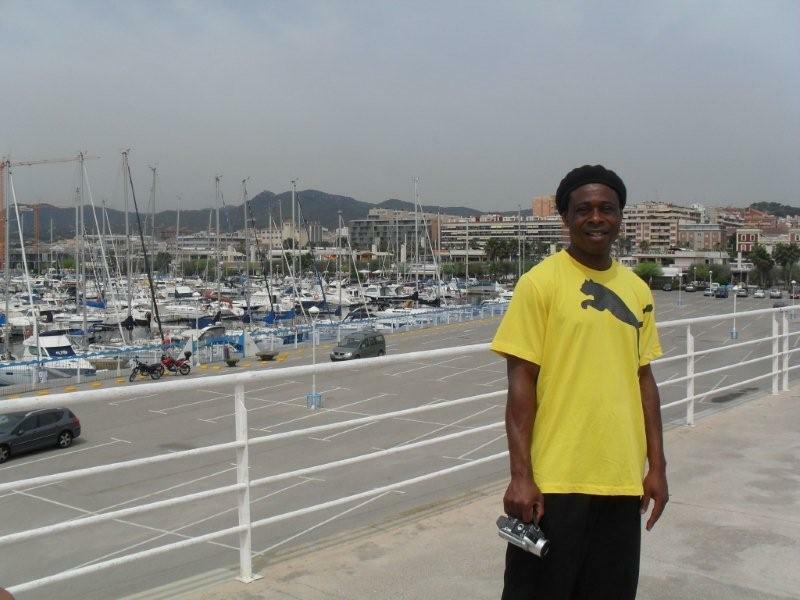 Mike Larbi, known as Mr.Energy, tought them different dance movements from Ghana. Addtional he taught them how to respond with movements to the rhythms. The participants put a lot of energy and effords in and I was very impressed, how they could even add their creative voice to respond to the rhythm. Which made this dance a new style. Nana Kwesi Ansong was accompaning us with the drum and flute. Every year we give a surprise to the teachers: In 15 minutes they had to learn dancing and drumming - and they made it. They discovered their talents - invite this workshop to your institution. It was a great event and a happy celebration. Some of the ministers and his excellency Mr President gave a nice and dynamic speech and informed the Ghanaian community in Switzerland about recent changes in Ghana. We got the opportunity to ask questions. After the meeting we all came together, listened live music and enjoyed the evening with some meal. My children were so happy to join the flowergirl. She presented flowers to the president and a crowed of children dressed up in traditional Ghanaian Kente cloth followed her. HIs excellency Mr president was happy about the colourfull welcome from the children and began his speech with this impression. We all felt happy in the end. 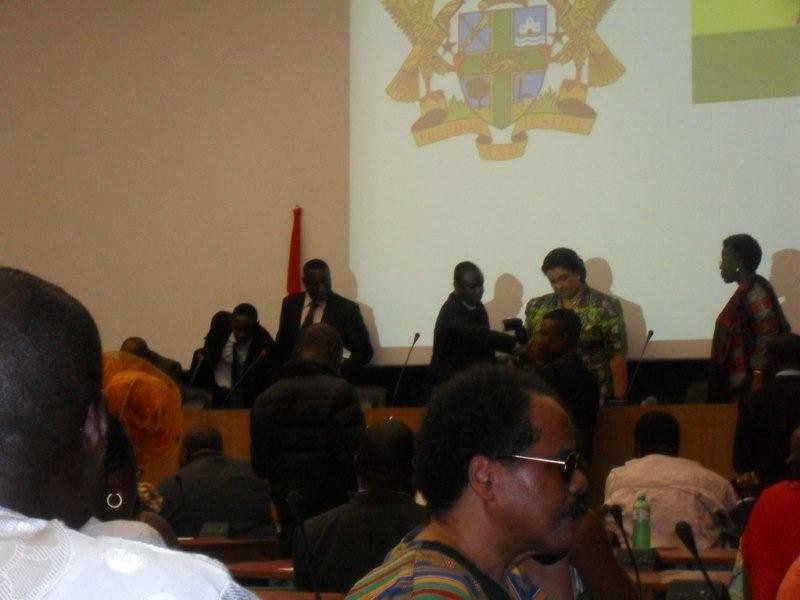 On the next day the band Black Earth continued playing for the president on another official meeting with the Swiss ministers and other officials. The students take part in a workshop about African music and dance steps. The whole festival informs and presents different African Cultures. A big challenge: We had just a few hours time to train the students, so I combined various dance movements together and tought them a performing dance for the show on Sturday evening on the festival of Cultures. For all of us it was a big challenge. The student really put in a lot of efforts, energy and courage, which made the whole work happy in the end. This is where you can find our motto: no stress no panic! At the International School in Schaffhausen I hold in February 2010 a short, nice and cute workshop with the youngest participants of the school (3-5 years old) up to the youngsters. In one day they learned some dancemovemnts from Ghana, songs and rhythms from Africa. We dressed the children and youngsters with Ghanaian traditional dresses and they enjoyed to experience the touch of Africa for one day. 4th till 21rst Mai: Bluesfestival Baden: Workshops at the schools in Neuenhof and Klingnau. It was a very intensiv and interesting teaching. The students and pupils put all their efforts in and the work was more a teamwork with a great feedback. 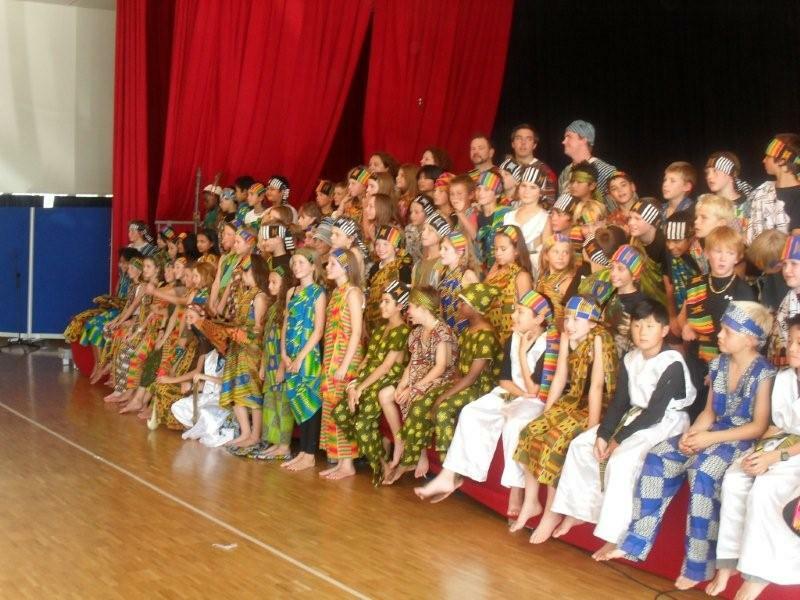 They learned also about the historical background of the African music and dance. 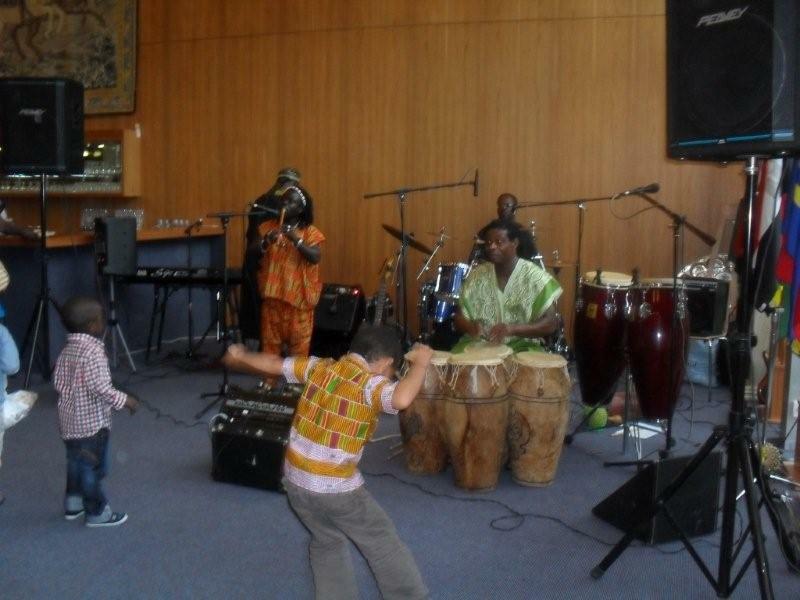 They discovered their passion for African music and dance, invite us to your institution and discover yours. 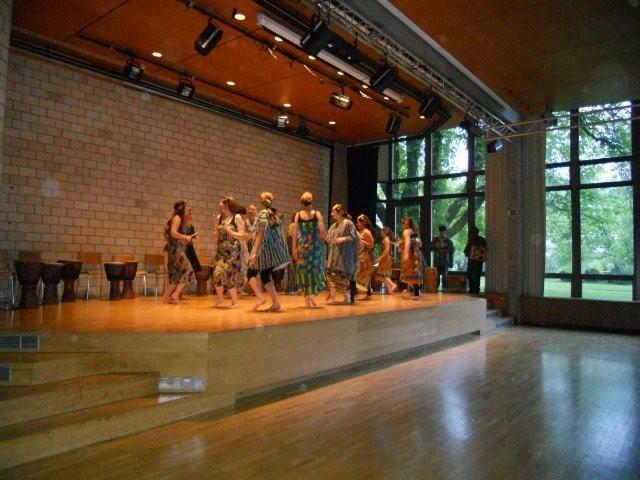 4th November: Rhythm and dance workshop for teachers at the "Pädagogischen Hochschule Nordwestschweiz " in Aarau. It is always very nice and thrilling to teach teacher, because of their skills and motivation to learn... we really had a good time and both sides learned a lot. 6th - 9th April 2009: Bezirksschule Sins: Projektwoche: Energy flows / Energie fliesst: traditional percussion, music, songs, rhythms and dance movements with Peter John Kofi Donkor from Ghana. 28th April - 7th Mai 2009: Baden blues Festival workshops, Schule Neuenhof: Ghanaian traditional percussion, music, rhythm games, songs and dance steps. 14th Mai - 30th June 2009: Schule Frick, several workshops with Primar-, Real-, Sekundar- and Bezirksschule in Afrikan traditional percussion, rhythms, dance and drama on the youth festival AFrick. The aim is to present it as show blocks with the dance -dramas: Ashanti kingdom, Afrikan market szenes, The work of fishermen and Daily life szenes in Afrika on the Opening and closing ceremony with special traditional songs from Ghana. 26.August: Ghana Trio. 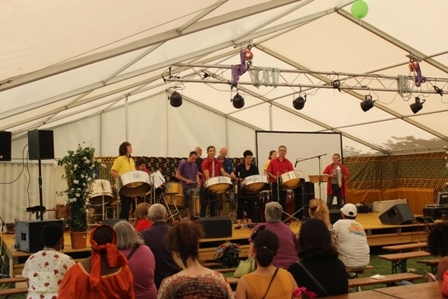 Willisau Jazz Festival: World music: read more about on the homepage of the Jazzfestival Willisau. 23 / 24. October: Wings of a dove. 31. October: Wings of a dove. 5th March: Wings of a dove in Stäfa, "Rössli"
8th March: Wings of a dove in Baden, "Isebähnli"
22nd Mai: Ghanaian funeral celebration: Seebach, Zürich: With this concert we showed our last respect for our musician brother Eric Asante, known as Officer Torro. Various artistes were there and we teamed up and made a nice show, rich in all traditional African music styles. 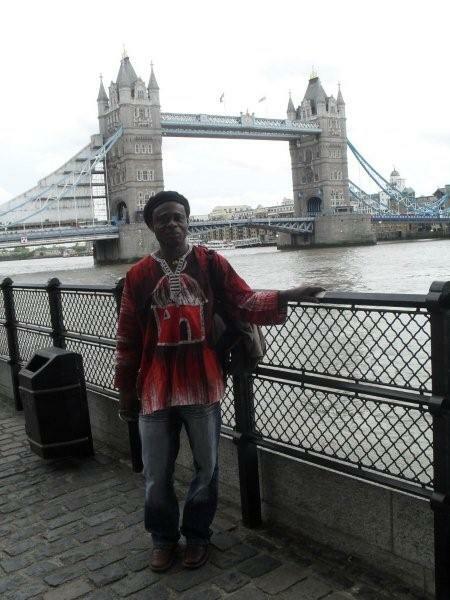 My journeys to Togo, Benin, Nigeria, Burkina Faso, Ivory Coast, Niger and Senegal gave me a lot of ideas and inspirations for my art work. I saw many performances in those countries and they inspired me for my workshop in Europe (Switzerland, Austria, Hungary, Czechia, Germany). Also the perfomances in England, Holland, France and Spain gave me a lot of art material. Music is energy, energy gives happyness in your travelling. 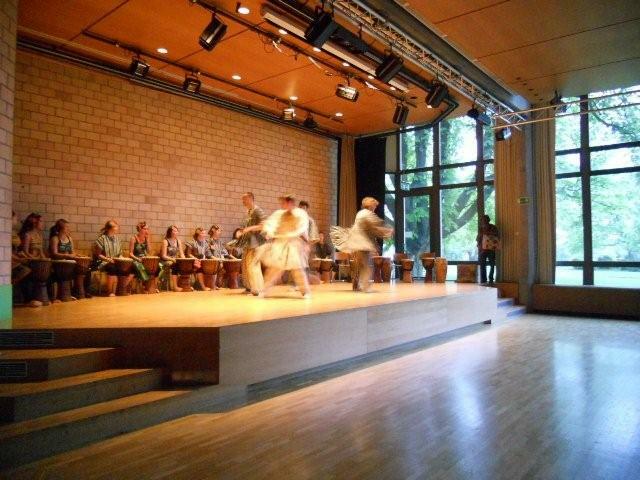 CD-release in Frick with wings of a dove - percussion power: traditional Percussion music and dance show from Ghana, November 2008. 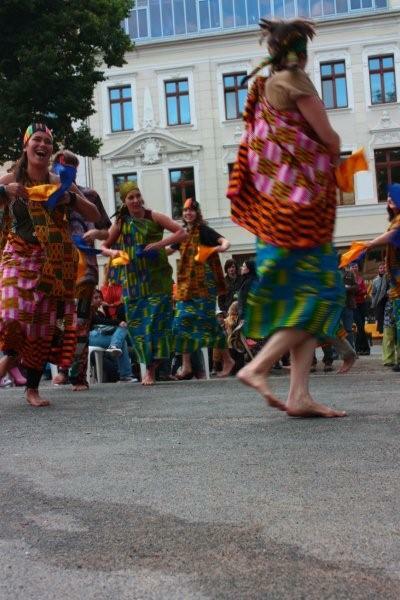 KAFF, Frauenfeld: Music, percussion and dance from Ghana, 2008. 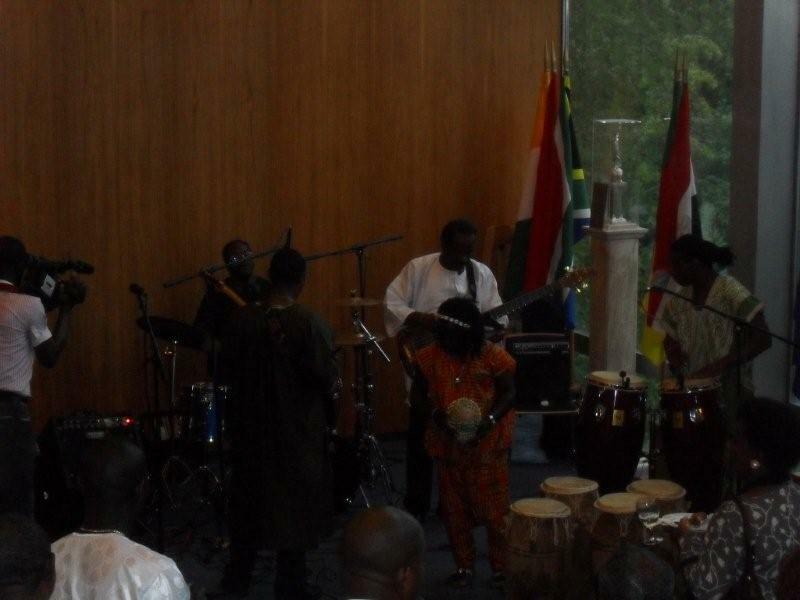 50th anneversary of Ghana, Geneva, 2007: Ghana all stars percussion power (Ghana traditional music, percussions and dance) and Kodjo Antwi. Inter community school, Zumikon, 2007; Highlife, Reggea, Calypso and percussion music. 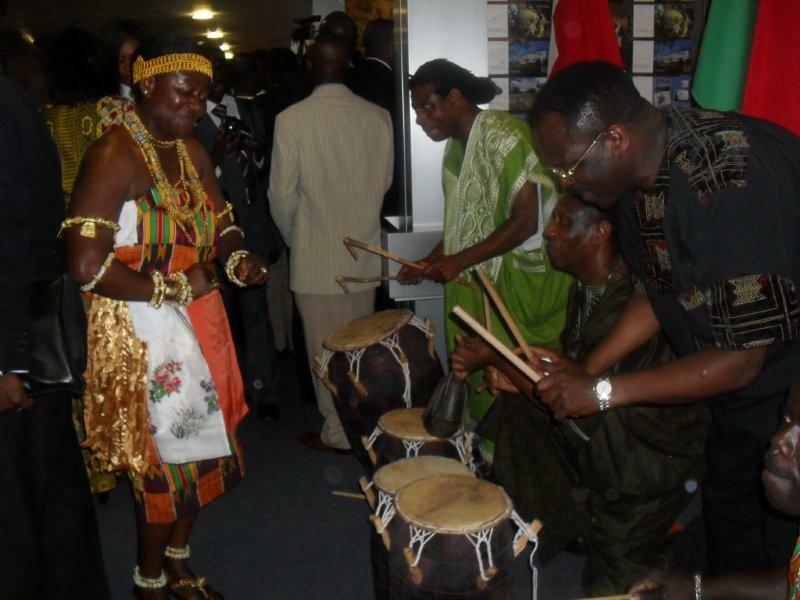 Concert to welcome the Ghanaian president Kufuor in Geneva, Commission of Ghana, 2007, Special Adwoa Royal Dance with Royal drums and tradtional percussion power and dance show. African day Geneva, 2007, Ghanaian traditional music mixed with other African rhythms, songs and dance. Kpanlogo- with Djembe rhythms, Gome and Agbadza percussions. several concerts with Tina Blackpower Band. 12. 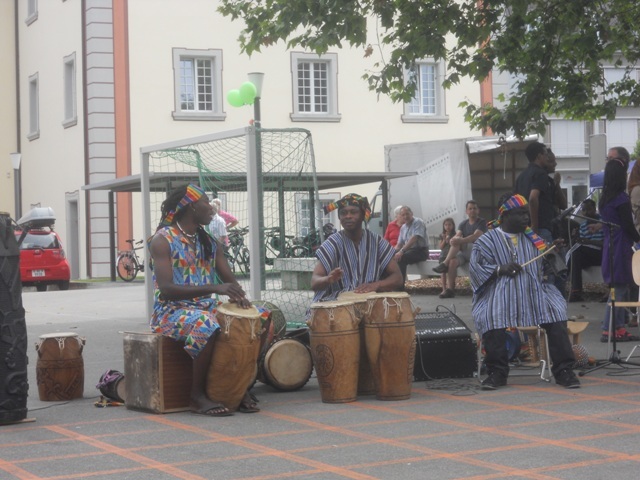 June 2009: Ghana cultural 3, festival des Arcs Ehrendingen. 20. June 2009: Ghana cultural 3, im Paradiesgärtli, Steinmaur. 21. June 2009: Ghana cultural 3, Aula Schulhaus Birr, Birr. 24. June 2009: Concert and story telling at the Art School Berne (whole day). 1. 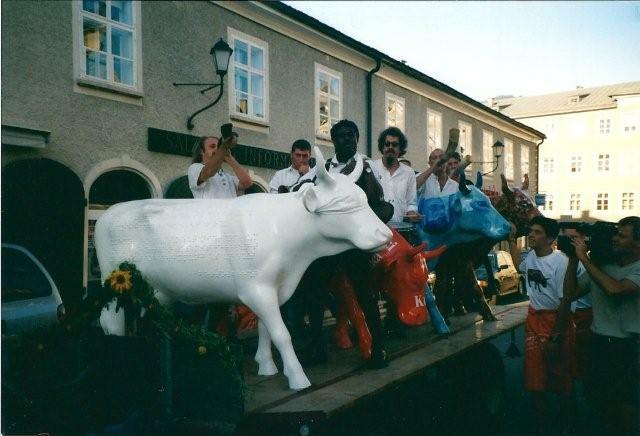 July / 2.July 2009: Peter John Kofi Donkor with Schule Frick: 1.July and 2.July: Dance drama, songs and percussion music. 2. July 2009: Wings of a dove - percussion power: Youth festival AFrick in Frick. 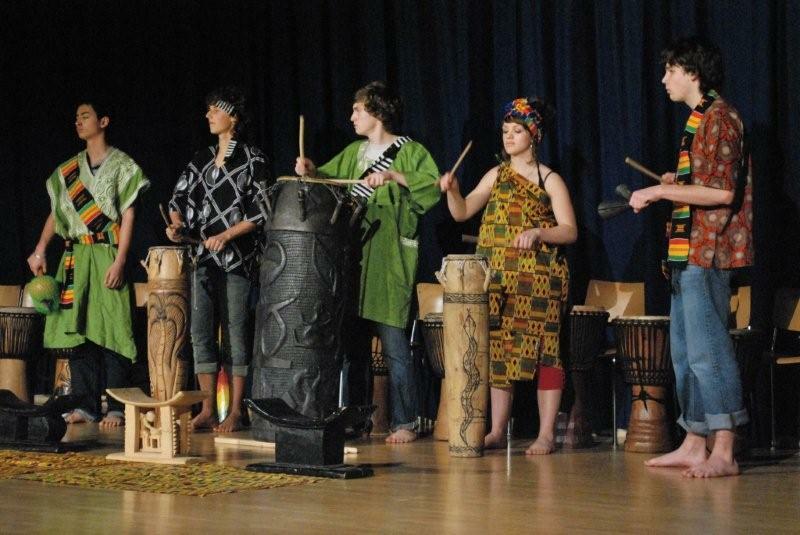 Traditional percussion music with flutes and dance from Ghana. 11. July 2009: Wings of a dove - percussion power: Wedding celebration in Geneva. 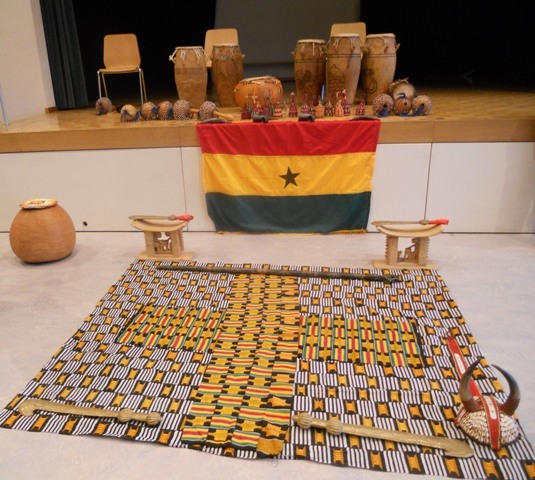 Traditional music from Ghana, percussion and dance. Move-on dance studio, Vienna, Afro fitness and teachers training. 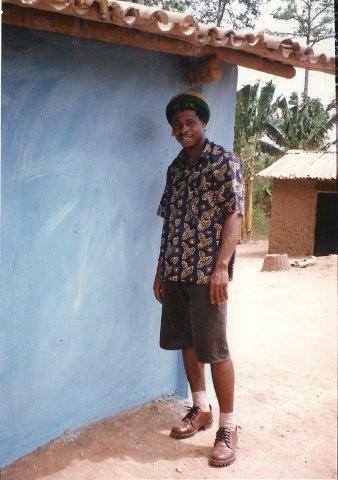 Tutor of drumming and Dancing, Academy of African Music and Art, Ghana.